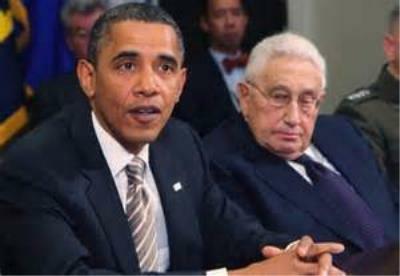 Henry Kissinger former USA Secretary of State and National Security Adviser under Nixon and Ford is a very evil individual. Author Christopher Hitchens in his 2001 book The Trial of Henry Kissinger wrote that Kissinger deserves prosecution "for war crimes, for crimes against humanity, and for offenses against common or customary or international law, including conspiracy to commit murder, kidnap, and torture." Kissinger is wanted in Spain for his involvement in a military coup in Chile on Sept. 11th 1972 that resulted in the assassination of the President of Chile, 60,00 murders and overthrow of the government. If he goes to Spain, England or any country with and extradition treaty with Spain he will be brought to face charges. 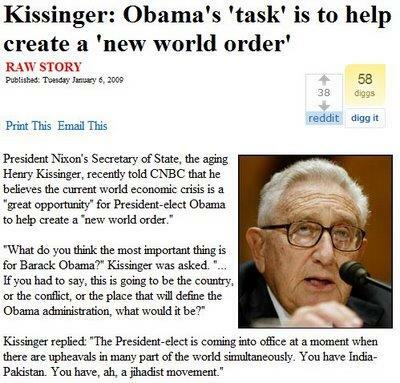 Kissinger is also a huge architect and conspirator of the New World Order and publicly speaks in favor of depopulation. 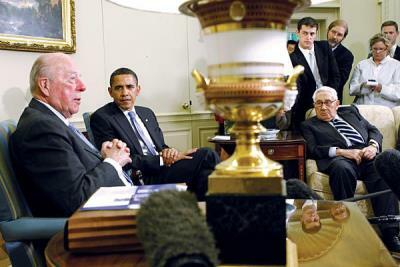 He is a member several New World Order conspirator groups such as the Trilateral Commission, Council on Foreign Relations and is a Bilderberg member. It is important to recognize the real people in control. Presidents are selected not elected and moved by hidden hands. Fortunately these people are powerless without us. Our complacency, apathy and ignorance enables them to stay in power. Please do yourself and your kids a favor, research, be informed and spread the word - before it's too late.